Flying facts: How many of these do you think are true? 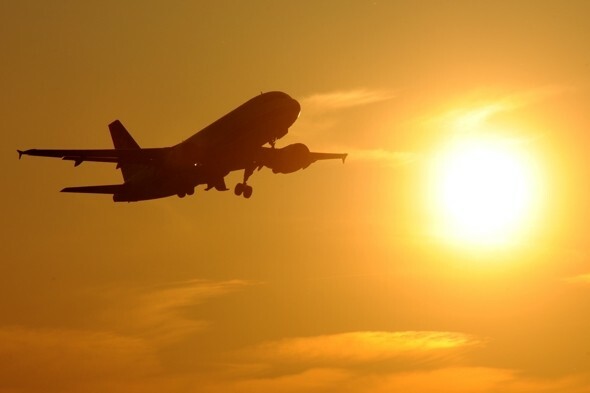 Although flying is an essential mode of everyday transport, there are still a number of interesting myths surrounding air travel that might make travelling by plane seem scarier than it really is. Can cabin doors open while the plane is in the air? Does tomato juice taste better at altitude? And do aircrafts skip seat row number 13? These are some of the most common flying questions that we've asked the holiday deal experts at Travelzoo to help us sort from fact and fiction. Some of the flying questions you've always wanted to ask were put to the test and the results will surprise you. Have you always wondered why airlines overbook flights? If flight attendants have to meet specific height and weight restrictions? And what happens if a flight is struck by lightning? We have the answers! If you want to know more about how safe flying really is from an industry expert, pilot Patrick Smith also recently revealed the many misunderstandings about flying in his new book Cockpit Confidential. The former airline pilot said that there's no need for travellers to worry about the cabin doors opening mid-flight. He wrote: "You cannot – repeat, cannot – open the doors or emergency hatches of an airplane in flight. You can't open them for the simple reason that cabin pressure won't allow it. Think of an aircraft door as a drain plug, fixed in place by the interior pressure." When it comes to the strange noises planes makes, Smith said: "It's common to hear a loud, repetitive whirring sound emanating from the floorboards of Airbus planes. Sometimes it's a high-pitched whine; other times it's a stilted WOOF, WOOF, WOOF, like the noise a very agitated dog might make." Flying myths: True or false? True! It is actually very common for airlines to overbook flights as it is a rule, rather than an exception, that a certain number of passengers will not turn up. Depending on the nation, airlines try to stop having empty seats on flights by overbooking a certain number of seats. True! The low pressure in the airplane cabin does affect the taste of food and drink, and much more tomato juice is drunk above the clouds than on the ground! False! Pilots only dump fuel before landing in the case of an emergency, and have to ask permission from Air Traffic Control before doing so. True! Due to practical and safety-related reasons, aircraft crew do have to meet certain height and weight criteria. A number of airlines also have guidelines on vision too. True! In order to calm superstitious passengers, a number of airlines don’t have a row 13 or a row 17 in the seating layout. False! Aeroplanes are regularly struck by lightning, but this does not mean they are forced to land. All aeroplanes undergo stringent tests before being allowed to fly and even in the case of an engine failure, an airplane will not necessarily be forced to land immediately. False! When cruising at altitude airplanes actually increase oxygen content, as the oxygen content in the air outside the cabin is now high enough. False! This is one of the oldest rumours, but it is indeed a myth. Toilet contents are stored in a tank and only emptied at the end of the flight, once the plane has landed. True! For safety reasons, passengers who are severely overweight will have to purchase two seats with certain airlines, but it is rare that these passengers will also have to pay the taxes and fees for both seats. False! Only in incredibly rare circumstance will a pilot fly a plane alone, as they are always supported by a co-pilot, who plays an active role in the flying of the plane. False! The idea of a plane crash is enough to perturb even the most seasoned traveller, but contrary to popular belief, when the US Government’s National Transportation Safety Board studied accidents over 20 years they recorded a survival rate of over 95 per cent. What’s more, the chances of dying on your next flight are calculated to be one in 60 million, making air travel hundreds of times safer than travelling by car. In fact, on this basis you could fly every day for the next 160,000 years without a problem. False! 'It’s surprising how many people still believe in the legend of the Bermuda Triangle, but the truth is, planes fly over this area every single day, as it's a major flight route from Florida to Bermuda and the Bahamas,' says Aaron Ritoper from Fly.com Boats sail, planes fly and people swim in the Triangle. The legend started decades ago when a researcher outlined an area he was studying where vessels and aircraft had gone missing. It was given the moniker 'The Bermuda Triangle' and the legend became an overnight sensation. But many disappearances have now been explained in purely logical terms. False! OK, so maybe YOU personally can’t take a gun on a plane, but American pilots are permitted to carry guns on flights in and out of Britain. Since September 11th 2001, the US Federal Aviation Administration permits all US pilots be armed in the cockpit in case of an unexpected emergency or terrorist attack. For flights of all nationalities, the cockpit is always locked, and passengers are not permitted to take tours or get branded wings from the pilot as they were able to before 9/11. False! The difference in cost between weekend and weekday flights can be quite significant. Looking at historical data the flight experts at Fly.com suggest that booking flights on a Tuesday, Wednesday or Thursday will usually net you a far better fare. False! It is widely believed that mobile phones could adversely affect the navigational instruments in an aeroplane’s cockpit, but there is currently no credible evidence that links electronic devices with interference. 'Aeroplanes are specially insulated against foreign radio signals, and their communication and navigation instruments operate on different frequencies from mobile phones, meaning that phone signals are unlikely to interfere with the plane’s sat nav. 'The ban is actually in place to prevent communication problems on the ground,' says Aaron Ritoper from Fly.com. 'If someone made a phone call from a plane, the signal would bounce across multiple signal towers at once, which could prevent other calls from going through.' It’s still a hotly debated topic with many suggesting airlines only support the ban in order to increase the use of expensive in-flight ‘air phones’. Since January 2014, the European Aviation Safety Agency has allowed limited use of electronic devices on board, causing a number of airlines to loosen regulations. From March 2014, airline Lufthansa has actually allowed limited use of electronic devices during the flight. True! Despite what many people think, airport security X-ray machines cannot harm your gadgets – computers, cameras, MP3 players and phones are all perfectly safe because the x-ray procedure does not use magnetic charges. However, budding photographers would be wise not to carry old fashioned film with them on planes, as the machines can damage undeveloped photos. False! Despite making up over a quarter of the population, low income households took just six per cent of the flights recorded from London airports last year, while the top earning quarter of the population took almost half of all flights, according to Fly.com statistics. So it’s actually the wealthiest people who are benefiting from the growth in air travel: people with second homes abroad take an average of six return flights with the airlines every year. While air travel has been getting progressively cheaper over the past decade, there’s still a long way to go before it is accessible to all. False! Air recirculates in an aeroplane cabin approximately every three to five minutes. For that reason, some concerned travellers believe that this constantly recycles germs through the air supply and fosters sickness. However, aeroplanes use sophisticated HEPA filters designed to extract 99.5 per cent of germs and viruses from the air, while studies have even shown that the air filters can remove SARS and bird flu germs, potentially making it cleaner than the stuff you breathe on the ground. False! Planes are frequently hit by lightning. According to livescience.com, the average commercial jet gets hit at least once a year by lightning. Sometimes, the plane can trigger lightning by flying through electrically charged clouds, causing static. Fortunately, planes are built to withstand lightning, although it has been known on rare occasions to bring planes down. False! The risk of being killed in a plane crash in any single year is one in 25 million passenger journeys. This is three times safer than travelling by train and 12 times safer than travelling by car. Statistically, you are more likely to have a fatal accident during six hours at work than you are during six hours sitting on a train, according to Brian Clegg's book Inflight Science. True! Recent research from the Fraunhofer Institute for Building Physics has shown that altitude can dull human taste buds by up to 30 per cent, meaning that it might not be your in-flight meal that’s rubbish, but your own taste receptors. The length of a flight can also have an impact on your taste buds, as the longer a flight, the more dehydrated you become and therefore the more dulled your palate. If you can, choose something with tomato, lemongrass or curry, and the flavours should hold up! Flight turbulence: What is it and is it getting worse? The best things about flying - as chosen by you! Although she says her fear of flying has improved over time, a traumatic experience left Jennifer afraid of taking to the skies for years. Speaking to China Daily recently, she said: "I had one really bad flight where we were caught in an electrical storm. We shouldn't have been in the air... What scares me is taking off, because I don't understand how the plane gets up there. I've heard all about the aerodynamics, the speed, the engine. Of course, when your number's up, it's up. Maybe I'm just a control freak..."
This Atomic Kitten developed a severe fear of flying around 10 years ago, when the band was at the height of its fame. In an interview about her phobia with the Mirror, she said: "I haven’t been on an aeroplane for four years, or on holiday for the past three years, and it’s all down to my chronic fear of flying. I have tried everything to combat it, from hypnotherapy to medication, and I’ve also been on four ‘fear of flying’ courses." He may play the hard man in his movies, but flying gets this tough guy's knees knocking. Colin told contactmusic.com: "I hate it, man. It just seems highly unnatural to me. I've taken a few (pills) in my time. I'm trying not to (now) 'cause I've had a few messy affairs on planes. I've been lucky they haven't leaked a few (stories) of when I went bonkers. They nearly had the handcuffs out at one stage on British Airways." Spiderman actress Kirsten has found a novel way of keeping her fear of flying at bay. She told Med India: "I always get scared on planes. Whenever I fly I pack those Bose headphones that dull the noise of the plane. I always wear them on take-off and landing". Ben Affleck explained to Jay Leno how his fear first came about on The Tonight Show. When he was nine years old, he went on a flight to Washington by himself. It was struck by lightning and the engine caught fire. The night before, he had randomly seen a TV programme about child molesters. "It scared the lights out of me," he said. As the plane was coming in for an emergency landing, the man sitting next to him turned and said: "You know, if we land, they'll put us in a hotel. Don't worry - you can stay with me." The experience has stayed with him. "I'm a really horrible flyer. I'm not superstitious about anything; I'm pretty much a realist, but flying, I kiss the plane. I'm petrified. It could be classified a phobia," Hollywood star Jennifer told contactmusic.com. For the first 10 minutes of any flight I'm sort of waiting for that sound that, for me - in my fantasy - it's like there's a nut that's come loose and it's going to go into the engine." Brit actor Sean is another on-screen tough guy whose nemesis is flying. "My parents were afraid of flying and it rubbed off on me," he told contactmusic.com. "I used to drive to all my film locations in Europe but I couldn't when it came to filming The Lord Of The Rings in New Zealand. I wouldn't get into a helicopter with the rest of the cast. They had to wait for me to walk up the mountain and join them before they could start filming." In an interview on Piers Morgan Tonight, Whoopi talked in depth about her long-standing hatred of jet-setting. She explained that her fear was instilled nearly 30 years ago when she witnessed a mid-air collision in San Diego. "I'm a visualist. So if I see it, it lives in my brain. So I always see it." She tackled her fears with a Virgin Atlantic course that helps individuals work through issues surrounding fear of flying. According to CNN, she added: "Some people are meant to fly. And I don't know if I was meant to fly, but I do it now." Singing superstar Aretha Franklin's fear developed literally overnight. In February 1984, she cancelled two shows in Kansas City and then rescheduled her entire tour because she suddenly couldn't board a plane. In an interview with Glamour magazine, Franklin once revealed: "I turned down two singing opportunities in my career because of a fear of flying: one for the Queen of England and one at the pyramids."